“Black is the easiest colour to remove” everyone knows that! Wrong. There’s only one reason for this urban myth. This is, that nearly everyone who claims to be a ‘tattoo remover’ has a thermal laser that can only remove black pigment. Small desk-top Nd:YAG laser machines (that can be bought on e-bay for as little as £300) are only capable of treating black ink. Therefore, colours are impossible to remove because these lasers are not capable of producing the correct light wavelengths to treat any other colour. Some ‘tattoo removers’ even turn the power up to its highest setting and repeatedly treat the skin in an attempt to break down the colour. This just results in skin damage. Wrong. If you have experienced bleeding during laser treatment, you should not receive any further treatment from your operator as they are evidently doing something wrong and possibly using the wrong type of laser. 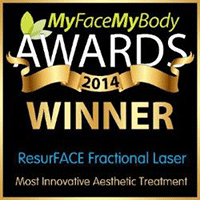 The correct laser treatment is non-invasive, it does not break the skin or cause blood to leave the body. Yes, blood will sometimes appear at the skin’s surface but it will not gush as if you’ve cut yourself. Wrong. The application of the correct laser treatment for tattoo pigment removal will not cause scarring. Well, sadly this is actually true if you go to a ‘tattoo remover’ who doesn’t know what they’re doing and they don’t have the right equipment. Scarring is caused by heating skin and burning it. This often happens with heat-producing lasers and IPL machines. (An IPL machine, strictly speaking is not a laser but this is a different subject altogether). A purpose-built pigment removal laser such as the Quanta Q-Plus-C and the PicoSure laser will produce a photo-dynamic energy (which does not produce heat). Many other types of laser (and IPL machines) produce thermal energy and apply heat to the skin which causes the burning and thus, scarring. Unfortunately, some people see tattoo removal as a cheap and easy way to make money. Lots of tattoo studios and beauty clinics buy a small desk-top laser and get someone (anyone will do) to read the instruction book and start treating people straight away. It’s true, anyone can buy any kind of laser and set up as a business without having any laser knowledge, training or qualifications. The industry is in its infancy and is still unregulated. Which is the right laser treatment for you? A ‘tattoo remover’ in a tattoo studio or beauty clinic with a cheap desk-top laser will be very cheap and charge as little as £20 per session for any colour and size tattoo. This is because he hasn’t spent a lot of money buying a purpose-built high energy laser or been through years of training learning about anatomy and physiology, skin conditions, skin/light interaction and health and safety etc etc. Using this type of service will possibly result in some black tattoo ink fading, probably enough fading for a cover-up tattoo but, could also result in unsuccessful fading, bleeding, infection, hyperpigmentation, hypopigmentation, irreversible skin damage and scarring. A qualified and experienced pigment remover with a purpose-built photo-dynamic laser will be twice as expensive (or eye-wateringly expensive with a PicoSure laser) but this will be because they are a professional who has integrity, has taken the time to learn about the body and laser science, study, qualify and invest in the right machine for the job. The result will be successful fading (although this is never guaranteed) accompanied by stringent health and safety practises carried out by a professional who is confident, committed and qualified to produce results without detrimental risks to health. A photo-dynamic Q Plus C laser (or a PicoSure laser as long as you don’t have red/orange/pink tattoos). There is only a small number of Q Plus C lasers and PicoSure lasers in the UK so you might have to travel further than you’d like to but it’s worth it. A Core of Knowledge certificate from a laser manufacturer/supplier. 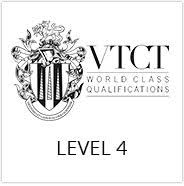 A nationally-recognised certificate in laser and IPL treatments. This should be at NVQ Level 4 by the way. Tells you black is the easiest colour to remove. Says he can also do hair removal and skin rejuvenation with the same laser. Doesn’t give you a 24 hour patch test and 30 minute health consultation. Doesn’t have a Core of Knowledge certificate from a laser manufacturer/supplier. Doesn’t have a nationally-recognised certificate in laser and IPL treatments. Has previously caused your skin to bleed profusely. Has previously caused the entire treated area to form a thick white crust once you’ve left. Tells you the area might go white, crusty or scab up once you’ve left. What can I do if I’ve already been scarred by an amateur tattoo remover? What’s the difference between a QuantaQ Plus C Q-Switched Nd:YAG + Ruby laser and a Q-Switched PicoSure laser? Much is made (by the manufacturer and the clinics!) of the claim that the PicoSure is the fastest, most powerful tattoo removal laser in the world. So let’s have a look at this claim. As I’m sure you know (!) one picosend is a thousandth of a nanosecond (and one nanosecond is a billionth of one second). The pulse length of the PicoSure is 750 picoseconds (which is three quarters of a nanosecond) and the pulse length of the Quanta Nd:YAG is 6 nanoseconds, in other words about 8 times longer. The energy delivered by the PicoSure is 165 milliJoules (mJ) whereas the energy delivered by the Quanta Nd:YAG is 1 Joule, in other words about 6 times as much energy is delivered by the Quanta Nd:YAG. Power is measured by energy divided by time so the PicoSure delivers one sixth of the energy in one eighth of the time which means it is more powerful than the Quanta Nd:YAG but not by much (only one and a third times more powerful). But power is only part of the story. As you will know by now, different colours absorb light of different wavelengths. The PicoSure delivers light at a wavelength of 755 nanometers, (nm for short), which is perfect for absorption by green pigment. This means that the PicoSure is really good at removing green tattoos. However, red pigment does not absorb light at 755nm so the PicoSure has no measurable effect on red tattoo ink. Black absorbs most wavelengths so the 755nm PicoSure will be effective at removing black tattoo ink provided it is near the surface of the skin (this is explained later). In recognition of the fact that the 755nm has no effect on red tattoo ink, the manufacturer of the PicoSure is introducing an additional wavelength of 532nm onto its platform. However, rather than adding another laser to the platform, the adaptation is to pass the 755nm light through what is called a dye conversion. Unfortunately the efficiency of dye conversion is only between 10% and 20% so the effective power of the PicoSure when dealing with red pigment will only be between 10% and 20% compared with the Q Plus C which provides 100% efficiency. The Quanta Q Plus C has two lasers, an Nd:YAG and a Ruby. The wavelength of the light emitted by the Nd:YAG is 1064nm which is really good for blue and black ink. There is a switch within the Nd:YAG which means that the wavelength can be halved to 532nm, the wavelength which is absorbed by red and orange. The Ruby laser emits light at 694nm which is really good for green pigment. So the Q Plus C has laser light which is better suited for the absorption by all colours compared with the PicoSure. And there is one final point. The depth to which laser light penetrates the skin is a function of the wavelength, the longer the wavelength, the deeper it penetrates. The penetration of the 755nm PicoSure is considerably less than that of the 1064nm Nd:YAG which means that the PicoSure just can’t reach deep enough to shatter ink which has been tattooed deeper into the skin. The PicoSure costs in excess of £200,000.00 which might explain the eye-watering treatment costs at the PicoSure clinics, whereas the Q Plus C is a snip (!) at £75,000. Both machines are good (and both are way better than all the other machines out there) but don’t be fooled by the PicoSure marketing. Make sure you do your own research and make the right choice for your tattoo, your skin and your pocket. Oh and one other thing. The Q Plus is listed on the NHS supply chain as a medical grade laser. The PicoSure is not.